Concerned about peer pressure, testing and the Common Core, more parents explore home-schooling. A Journal News analysis of state data found that Westchester, Rockland and Putnam counties had a 31 percent increase of home-schooled students from 2005 (the earliest the state could provide data for) to 2013. Statewide, more than 20,000 students receive their primary instruction at home. Westchester County, the one closest to New York City, experienced a 25% growth in homeschoolers. Sylvia Diaz, coordinator of Tri-State Homeschoolers Association, which caters to home-schoolers in the New York metropolitan area, said she had seen an uptick in inquiries this year from parents concerned about the implementation of the Common Core education standards. “It has wreaked havoc with a lot of parents, and they say their children are confused and anxious,” said the LaGrangeville resident. Westchester County, one of the wealthiest and most highly taxed in the country, is home to many highly regarded public schools. Most Westchester homeschooling families live in those districts that report lower academic achievement levels. Many older homeschooled students participate in the abundant selection of classes and activities offered in neighboring New York City. Yonkers, which borders NYC, is particularly convenient for this purpose. Numbers for homeschooled students in more New York counties are available at this link. Swapna Venugopal Ramaswamy, “Opting out of the classroom: Parents explore home-schooling”, lohud.com, November 10, 2014. Even in one of the most prosperous and highly educated counties in the United States, less than half of high school graduates are ready for college. Only 48% of Westchester County high school graduates are prepared to do college-level work. This measure is based on students scoring “at least 75 on their English Regents exam and at least 80 on a math Regents exam”. For my local high school, located in Westchester County, 64% of graduates are considered college ready. 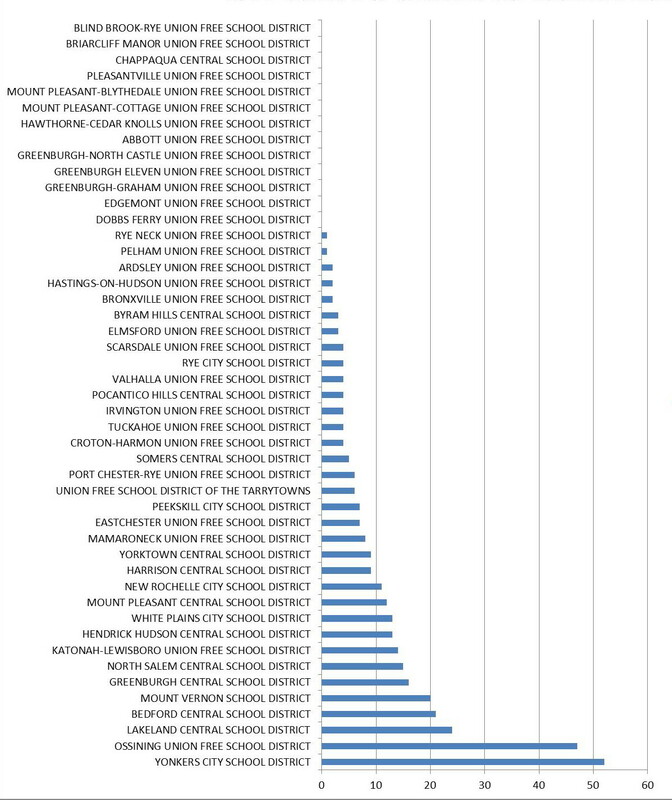 This is a school district that spends about $25,000 per student each year and enjoys a student/teacher ratio of 14:1. On a national basis “SAT scores indicate ‘most freshmen aren’t academically prepared for college'”, so it appears this problem is not limited to high schools near me. Are these college readiness numbers surprising? Should they be higher, given the resources being devoted to education? Or is it unrealistic to expect higher percentages of college-ready high school graduates, even in some of the most affluent areas of the country? The measures are flawed and do not give an accurate representation. Teaching and/or curriculum is mediocre, or worse. Schools do no place sufficient focus on academic goals, specifically on preparing students for college. We’re not spending enough on education. The money we spend on education is used inefficiently. No matter the demographics and despite how much a school tries, a certain percentage of high school graduates will never be ready for college work. Parents are not doing enough to support their children’s education. I dismiss the first reason listed, having some familiarity with the New York State tests used to measure college readiness. A high school student on the college-prep track should definitely be able to meet the scores required. These tests are notoriously easy and/or graded on a very forgiving curve. Achievement levels do not correlate closely with money spent on education, so I cannot see #4 being an important reason. The rest of the listed reasons probably play some role in creating the disappointingly low college-readiness figures. In theory, schools have the most control over remedying reasons 2, 3, and 5. In practice, most experiments innovations that schools implement only seem to make things worse. Gary Stern and Dwight Worley, “Local high school grads not up to more ambitious state goals”, The Journal News, June 23, 2014. Do students get too much homework, or too little feedback? 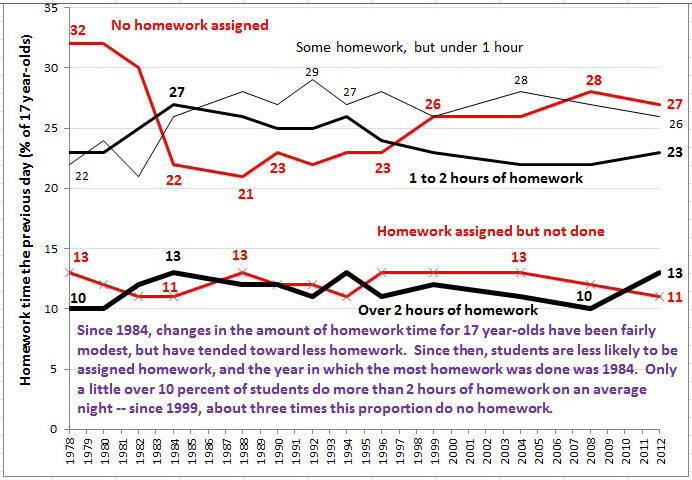 … Tales of the homework-burdened American student have become common, but are these stories the exception or the rule? How much homework do high school students really do? Here are some numbers. … The National Center for Educational Statistics found that high school students who do homework outside of school average 6.8 hours of homework per week. The 2007 MetLife Survey of the American Teacher found that 50% of students in grades 7-12 reported doing one hour or more of homework on weekdays. There appears to have been little change in homework time for 17 year-olds over the last 35 years, as shown by this U.S. Employment and Training Administration (ETA) chart based on NAEP data. The reality is that a heavy homework load is unusual. Based on National Education Association guidelines that homework should increase by ten minutes each school year, a high school senior should average two hours per night. A teacher told me she believes local high school students average about three hours per night, and based on other information this sounds about right. This puts local teens among the fewer than ten percent of American high school students who are doing three hours or more of homework each night. Keep this in mind when you read stories like the one Karl Taro Greenfield wrote about his middle school daughter’s burdensome homework load averaging about three hours per night. A ten-hour work day is probably fine for some teens. Three or more hours of homework is fine for some students, those who are highly motivated and can maintain their focus on school work over a long time. But it’s overly burdensome for most. It seems wrongheaded and harsh to expect teens to put in ten-hour work days when many adults would find that same schedule to be onerous. Under that scenario (7 hours of school + 3 hours of homework + 9 hours of recommended sleep = 19 hours) only five hours are left all other activities. Meals, grooming, extracurricular activities, commuting, chores, jobs, and relaxing must all be fitted into those few hours left. Given that sports, theater, and other activities often take up two to three hours after school, it begins to look even tighter for many kids. And when a doctor’s appointment or other non-routine event comes up, such a schedule can be thrown all out of whack. Yeah, three hours is too much for most kids. My strongest objection to the hours of homework is the failure of some teachers to grade or otherwise provide meaningful feedback. … Effective learning depends on the receipt of timely and useful feedback from teachers so that students can come to a better understanding of what they have learnt and, where appropriate, correct misunderstandings. Sometimes teachers do not provide this feedback to students; in the absence of effective teacher feedback homework is likely to be of little value to students. Two important ways that homework can enhance learning are by offering deliberate practice and formative assessment. But when a student’s work is not evaluated by the teacher, neither is likely to occur. Students quoted in Fires in the Mind by Kathleen Cushman shed more light on this. Without an explicit teacher response, Kristian said, her homework did not seem like deliberate practice. And unless a teacher intervened, said Christina, practicing something wrong in a homework assignment could be worse than not practicing it at all. 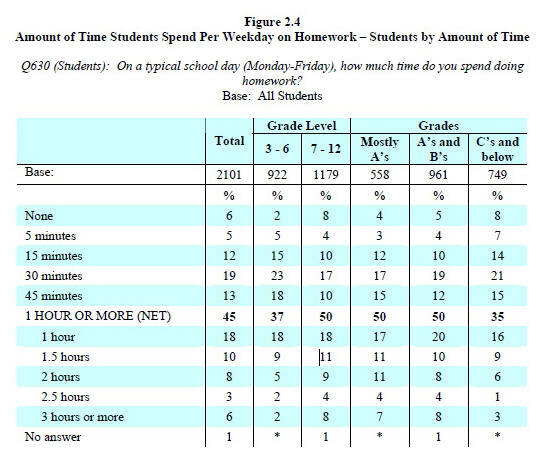 One reason for hiring a tutor is to grade homework when teachers “don’t have time” to do it. That just seems wrong to me. Are anti-bullying programs just feel-good attempts to solve a serious problem? Anti-bullying programs don’t work. In fact, they increase the odds of being a bullying victim. Anti-bullying programs that are now commonplace in schools may be having the opposite of their intended effect, according to new research from the University of Texas, Arlington. In a study published in the Journal of Criminology on Thursday, a team of researchers found that students at schools with anti-bullying initiatives are actually more likely to be victims of bullying than students who attend schools without such programs. Bullies are able to learn how better to escape detection. Educational programs increase the reporting of incidents. Schools use many programs that “lack solid evidence about their effectiveness“. Among many educators, ‘personal anecdote trumps data’. … Too often, they are swayed by marketing or anecdotes or the latest fad. And “invariably,” he added, “folks trying to sell a program will say there is evidence behind it,” even though that evidence is far from rigorous. While Rachel’s Challenge and DARE both engage students, they don’t reduce bullying and drug abuse. I once challenged the use of Rachel’s Challenge, an anti-bullying program, in our local schools. When I questioned why the school was spending time and money on an anti-bullying program that could only offer “anecdotal” evidence of its efficacy, I was met with protests that it engaged many students and moved them to tears with its stories. Another feel-good program is DARE, which aims to prevent drug abuse and violence, Local teachers have acknowledged there is no data showing it works. Again, their defense is that it engages students. … A look at the history of unions and strikes shows how unions gained power, and their varying levels of success in past collective bargaining attempts across the country. 1857: The National Education Association (NEA) is founded in Philadelphia by 43 educators. The new union focused on raising teacher salaries, child labor laws, educating emancipated slaves and how the forced assimilation of Native Americansaffected their education. 1897: The Chicago Teachers Federation is formed to raise teacher salaries and pensions. At this point, teacher compensation mainly consisted of room and board in the local community. 1902: Teachers, parents and students unite in Chicago for the first teachers’ strike, which occurs after a teacher is suspended for refusing to allow a disruptive child back into her classroom. According to journalist Dana Goldstein, the strike helps the newly formed CTF. 1906: In New York, the Interborough Association of Women Teachers fights for equal pay for equal work. During this time, teacher salary is based on position. Secondary-school teachers are paid more than elementary-grade teachers, and non-minority men are paid more than women. 1916: The American Federation of Teachers is created in Chicago as several local unions band together. The AFT focuses on salaries and discrimination against female teachers, including contracts requiring that they wear skirts of certain lengths, teach Sunday school, and not receive “gentleman callers more than three times a week,” according to American Teacher magazine. 1920s -1940s: Strikes are rare, since striking workers were often fired quickly and laws in some states make government worker strikes illegal. Unions focus on improving pay, improving conditions in school, and increasing federal aid to schools. 1950s: The NEA affiliates with 18 black teacher’s associations in states where segregation is rampant. By 1951, 98 percent of urban school districts are paying teachers based on professional qualifications rather than on the grade they teach. 1959: Wisconsin becomes the first state to pass a collective bargaining law for public employees. Union membership increases across the country as more states pass similar laws. 1968: Florida statewide teachers’ strike–More than 40 percent of Florida’s teachers strike over salaries and funding for classrooms. This is the first statewide strike in the nation. New York City teachers’ strike–Three separate walkouts close schools for 36 days. The strike occurs after the newly created school board in Ocean Hill-Brownsville, Brooklyn, dismisses mostly white and Jewish teachers from the majority black district… The strike ends after the state steps in, and the teachers are reinstated. 1990s- 2000s: Laws restricting collective bargaining rights and the differences in contracts and salaries between districts have greatly diversified the role of unions in each state. Unions have taken stronger positions in political campaigns to support like-minded candidates. They have also been vocal about changes to teacher evaluations, an increased number of charter schools, and the introduction of merit pay, and still have the power to impact education reform rollouts in some of America’s largest cities, as was demonstrated in Chicago. Our local teachers were part of the wave of strikes during the 1970s and 1980s. In 1976 …The Eastchester Teachers Association went on strike. The strike leaders went to jail; striking teachers were fined two days pay for every one spent “out,” and Eastchester itself made the history books as having provoked the second longest teachers’ strike in New York history. That is the observation of Ta-Nehisa Coates, author and blogger for The Atlantic who spent this past semester teaching “Writing and Reading the Essay” at MIT. The ‘sentence is the basic unit in writing‘. As Coates suggests, today’s K-12 literacy instruction does not place much importance on sentence composition. That’s my thought every time I hear parents and educators marvel about how wonderful it is that elementary students are writing “research papers” and personal journals, instead of spending more time mastering foundational literacy skills like sentence composition, grammar, and vocabulary. These students then have to play catch-up in high school, struggling with writing essays while lacking basic skills that were never taught in the earlier grades. The most striking example I have seen are local high school juniors in honors English class who spent the first several weeks of the school year reviewing learning basic grammar. … explicit instruction in sentence syntax had been a staple of composition classes (dating back to classical antiquity) until just a few decades ago. Francis Christensen and Edward Corbett are two of the few recent advocates of “sentence-based rhetoric”. Their instructional methods have included “sentence combining” and “imitation exercises”. Both Corbett’s and Christensen’s methods were subject to empirical scrutiny, and studies showed that both methods not only increased the grammatical complexity of student writing, but also improved the overall writing quality (as compared with control groups and as rated by blind raters). In particular, internalizing syntactic structures, even by slavishly copying them, ultimately increased originality and creativity–presumably by giving students a wide repertoire of syntactic tools to choose from and handy ways to play around with them. Don and Jenny Killgallon have written a series of books on sentence composing. Sentence Composing is an approach to teaching improved sentence structure by using respected professional writers as mentors whose sentences become models for students. Using those models as a starting point, the approach uses four sentence manipulating activities–unscrambling, imitating, combining, and expanding–to provide practice in learning from the mentor how to write similar sentences. The Kilgallon texts work well for afterschooling or homeschooling, with instruction aimed at all levels — ranging from elementary grades to college. Peer teaching has serious downsides. Peer teaching* has become increasingly popular over the last 30-40 years, in conjunction with the rise of mixed ability grouping in K-12 public schools. Typically involving a slower learner receiving instruction from an advanced student, this practice has significant downsides for both parties. Students Act as Teachers sums ups the story of frustrated teachers in Manhattan who created a buddy program, enlisting older students to help teach struggling readers. Part of the goal was to have the older students “get a dose of their own medicine by seeing how difficult it can be to teach”. How did it turn out? The results, they said, were mixed. This mirrors my observations, even though I’ve had at least one teacher insist there was abundant research strongly supporting the use of peer teaching. That’s what she learned in graduate school. As in many other aspects of “innovative” pedagogy, research of questionable quality is used to support instructional practices that are often implemented in a haphazard manner. In one case I know, a student struggling in geometry was asked to tutor another student who was struggling in algebra. The teacher insisted both would benefit, but as it turned out the struggling geometry student received no help in her area of weakness. Based on other conversations with this teacher, it was clear that the intended benefit was to strengthen social connections, promoting compassion and self-esteem that would ultimately pay off in improved geometry skills. Spare me. The 2008 National Mathematics Advisory Panel reviewed “instruction in which students are primarily doing the teaching”, finding “only eight studies that met our standards for quality”. Additionally, the Panel found 20 high-quality studies of cooperative and collaborative learning. The only definitive benefit to students shown by any of these studies was an improvement in computation skills. I’m imagining a scenario where one student is helping another in drilling math facts. I can buy that. Otherwise, peer teaching seems to be a waste of precious classroom time. Here is how the Panel puts it. There is suggestive evidence that peer tutoring improves computation skills in the elementary grades. However, additional research is needed. Are most kids good at teaching? Some math kids like to tutor and are probably good at it, but I tend to think of teaching as a separate gift. I know many people who are masters at what they do but can’t explain it worth a darn. I want expert teachers, not other students, teaching my kids. Unfortunately, I have many anecdotes about the downsides of peer teaching. A bright fifth-grader I know decided it was best to clam up after being derided as a know-it-all in his collaborative learning group. So much for learning compassion and self-esteem. * Peer teaching is included as part of various “cooperative”, “student-centered” learning strategies, with names like Team Assisted Individualization, Student Teams-Achievement Division, and peer-to-peer learning. IN NEW YORK, PENSION COSTS ARE OVERPOWERING THE PUBLIC SCHOOLS’ ABILITY TO MAINTAIN STUDENT SERVICES. Our local public schools must cut student services to pay soaring pension costs. Total school costs will increase 3.3% over last year. Cost of teacher pensions alone will increase 42%. To pay for the 42% increase in teacher pension costs, the school will cut teaching staff and increase class sizes. Almost 80 percent of the hike comes from a $3.5 million rise in state-mandated retirement expenses, Purvis said. * Total employee benefits costs account for 96% of the total budget increase. A SPECIAL EXEMPTION ALLOWS TAX INCREASES THAT EXCEED TAX CAP LIMITS AS LONG AS THOSE PAYMENTS ARE USED TO PAY FOR PUBLIC EMPLOYEE PENSIONS. The New York property tax cap introduced two years ago includes a carve-out created to allow tax increases that pay for teacher pensions to be exempted from the cap. As it turns out, this exemption has been the main reason for the average tax increase more than doubling above the 2% statutory base cap up to 4.6% . The pension exclusion hurts poor school districts the most because the calculation method especially affects communities with lower property values. … the pension exclusion in the tax cap law effectively makes it easier for school districts to raise taxes on property owners who can least afford it. … The pension provision—added at the insistence of Assembly Speaker Sheldon Silver—diminishes the protection the law was supposed to provide for some of the state’s poorest taxpayers. NEW YORK’S ‘STOPGAP’ SOLUTION TO PENSION CRISIS CARRIES ‘LONG-TERM RISKS’. A “pension-smoothing” provision was recently introduced in New York, allowing school districts to postpone full funding of pension liabilities. Moody’s does not look favorably on this plan to kick the can down the road. Moody’s Investors Services warned Monday that the state’s new pension-smoothing plan is “a stopgap with long-term risks” that could endanger the state’s pension fund and the credit of local governments. The plan, part of the state budget approved last month, allows for local governments and schools to essentially pay a flat rate for pension costs over 12 years, avoiding the steep cost increases that the municipalities have faced. Moody’s says that the concern is the flat-rate payments could underfund the state’s roughly $150 billion pension fund, which provides benefits to 1 million retirees and current local and state workers. That could lead to higher costs for municipalities and schools in future years, the credit agency said. PUBLIC PENSION HORROR STORIES FROM ILLINOIS AND FROM CALIFORNIA CONJURE UP TROUBLING IMAGES. 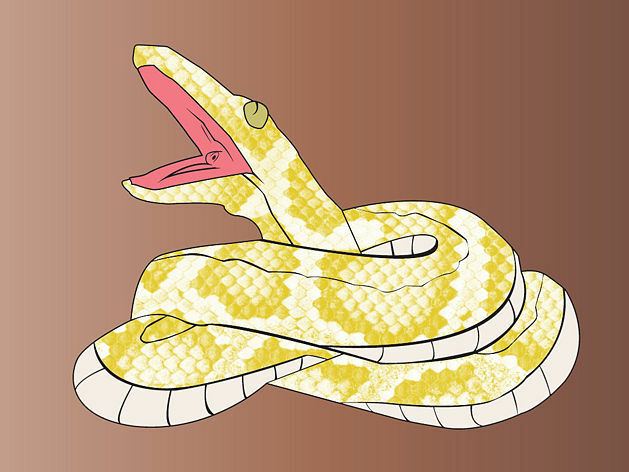 … Education funding is being strangled by the same python that is strangling the rest of state government’s finances: pension obligations…. “The pension costs really are the Pacman that’s eating our budget,” Shirey said.